I am beyond thrilled today to be taking part in this blog tour. I have a review for you so read on and find out what I thought………..
Blurb: One cold November night in 2014, in a small town in the northwest of England, 21-year-old Arla Macleod bludgeoned her mother, stepfather and younger sister to death with a hammer, in an unprovoked attack known as the Macleod Massacre. 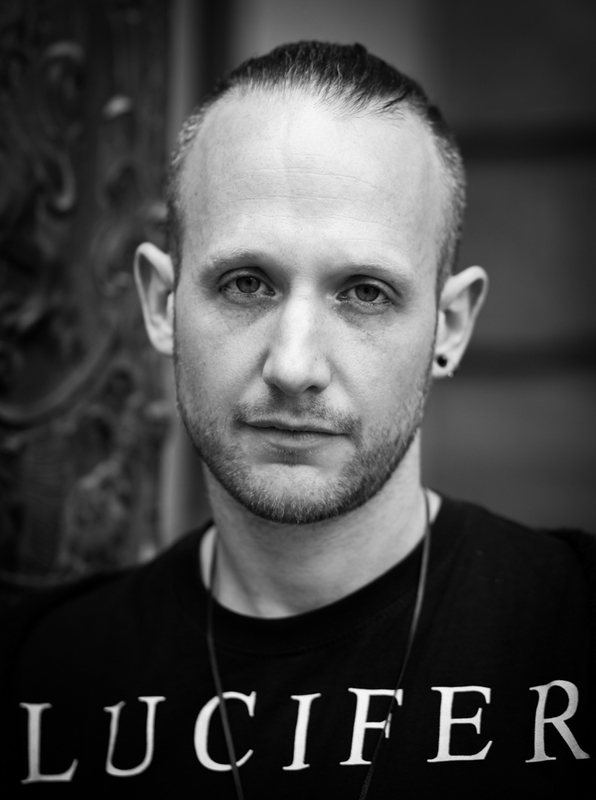 Now incarcerated at a medium-security mental-health institution, Arla will speak to no one but Scott King, an investigative journalist, whose Six Stories podcasts have become an internet sensation. King finds himself immersed in an increasingly complex case, interviewing five key witnesses and Arla herself, as he questions whether Arla’s responsibility for the massacre was as diminished as her legal team made out. 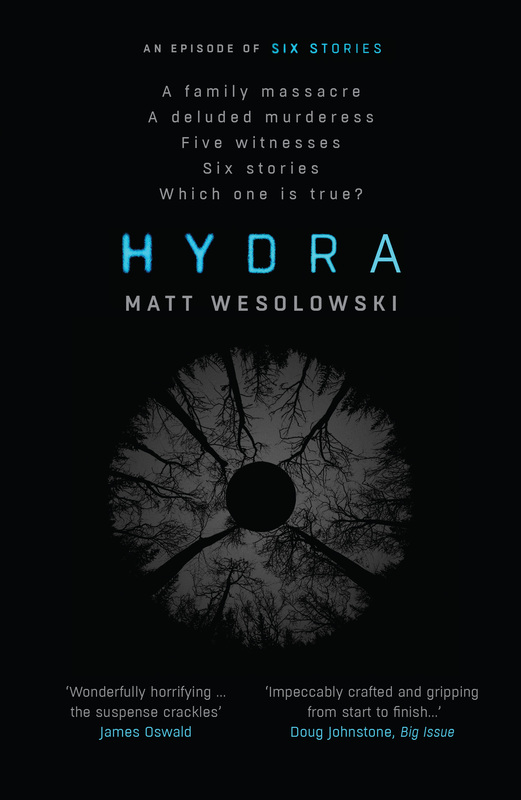 As he unpicks the stories, he finds himself thrust into a world of deadly forbidden ‘games’, online trolls, and the mysterious black-eyed kids, whose presence seems to extend far beyond the delusions of a murderess… Dark, chilling and gripping, Hydra is both a classic murder mystery and an up-to-the-minute, startling thriller that shines light in places you may never, ever want to see again. Review: I’ve rated this 5/5 but for this book that seems inadequate, maybe 8/5 or more would be better. 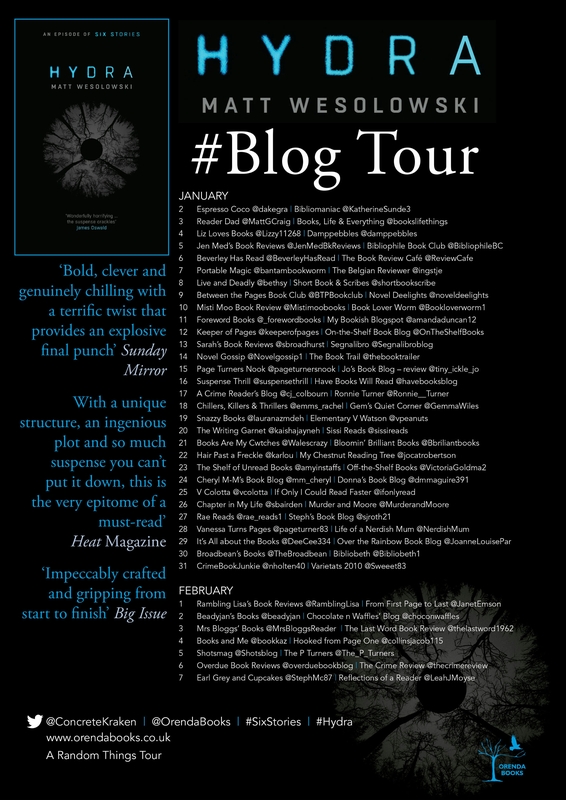 I missed the first book, Six Stories, when it was coming out but was aware of the reviews and comments surrounding it so when I had the chance to be involved in the blog tour for this book I jumped on it. The best word I can use to describe this book is Wow! I can honestly say I’ve never read anything like it and I’ve been reading a long time. I’ve read quite a few book that had me hooked and engrossed so that’s not new but what this one did was get me not only hooked and engrossed but totally sucked in. The world disappeared. I didn’t rush through reading each page but at the same time even a seconds hesitation getting to the next page was too long. I needed to know what happened next, what was going to be said or done. It’s like waiting for the dvd of a film you loved at the cinema or a favourite authors new book. You buy one copy but that’s not enough, you need 2, no 5, no maybe 10 will be enough. Maybe. I’m rambling I think but that’s as good a description I can give as to how I felt reading this book. I started off a bit confused, I admit, because I was expecting a slightly more conventional start but on page 2 I realised what was happening and the confusion disappeared. The murder of a family by a family member is always an appalling, and in some ways, fascinating crime because there is always the question of why they did it. In this story we get insight from Arla Macleod, accused of killing her family. We also get information from other people and the thoughts and comments throughout of Scott King, the creator of the Six Stories podcasts. While the story from Arla and the others is fascinating there is also an underlying creepiness to it. I’m not going to spoil things but let’s just say I was a bit more careful in checking my doors and windows at night while reading, and huddled into my sofa as much as I could to feel safe. I don’t read horror stories and I’m not sure I’d class this as one but it definitely plays with your emotions and simultaneously makes you want to throw it to the farthest corner of the room and keep reading to find out what happens next. Obviously I never threw mine, I don’t want to break my kindle, but there were times when I wanted to hide it or put it away so that I could escape what I was reading and feel safe while at the same time not been able to tear myself away from it.